Thread cleans just like any other fabric. You can try your regular spot remover, or vinegar and lemon, or whatever you would normally use to clean clothes. Whatever you try, however, I suggest trying it out on a small piece before doing the rest, just in case it doesn’t work or makes it look worse. Another option is to bleach and then die the entire thread a new color, and hide the staying that way. Any other suggestions? What has worked for you? 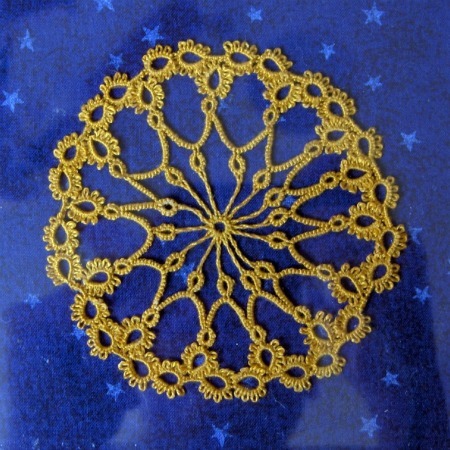 Spanish Translations of Tatting Videos are Here! If the coffee stains are even, use the thread as is, rinse it well and it will be a new colorway. If the coffee stains are not even, or you don’t like the new look, then try soaking it in oxyclean. If that doesn’t work, the overdying it a new color. I am not sure that the thread will be in good shape if you first bleach it, and then dye it. That might damage it too much. You might also try soaking it and using some color catcher, or color out that you can sometimes find in the laundry section. They have products that are supposed to catch loose dye in your wash so it doesn’t get on other things. 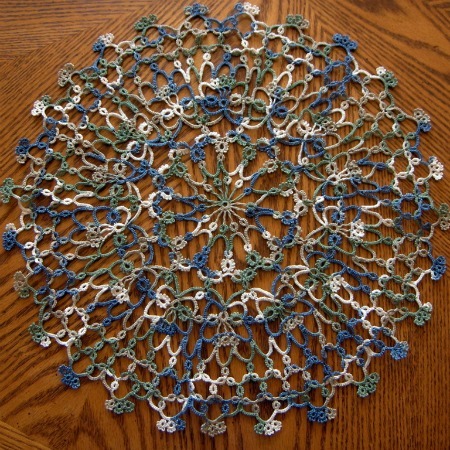 I have been using a product called dentol which is normally used for cleaning false teeth ,and have discovered it has a number of useful ways of cleaning different things, I normally soak my net curtains for an hour or two and they always come up beautifully, so having said that I have not tried removing coffee stains from tatting cotton,but I thought it might be useful tip to try on a small section ,please let me know if it works,good luck. If it is cotton you might try boiling it. Wind it off into smaller loose skiens. Take a dab os soap(not detergent) in a pan of water, bring to a boil, put the tread in and boil for 10 minutes. Make sure you rinse until you would be willing to drink the water. It is what our grandmothers did and I have used this method twice this year. It works great. I haven’t tried this method on colored threads, but I have tried it on white. Make a solution of Oxiclean powder in water. I used hot water in a bowl with about 2 cups of water and 2 tablespoons of Oxiclean. Just estimate amounts. But this should be a fairly concentrated solution with above measurements. Put in the soiled tatting and go do something else for a while. 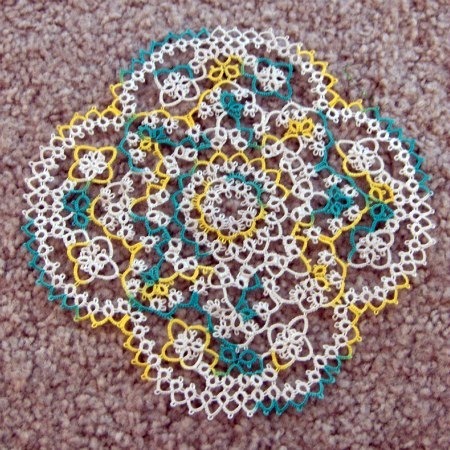 Then rinse the tatting well and lay flat to dry on a towel, patting it into shape. without lemon scent, in the wash cycle. colors are not harmed by it, & the whites are brighter. for drying, a ceramic knife sharpener is long & skinny, as is a dowel or plastic tube. place thread, still quartered, on choice object, lay in area with a breeze, check & turn evra few hours. if necessary, use handheld hair dryer on low to finish the gentle drying, not too close to thread. I would never use bleach. Way way too strong of a cleaner. It wil do more damage on the thread, meaning that the thread is more likely to break while tatting. My suggestion is to make the tea stains work in your favor, such as using this on motifs that have faces on them, (or bones as skull and cross bones) or adding a dab, two or however number of colors that would great with the tea dye. My favorites are the colors from the Victorian error such as rose pink, sage, even deeper purple colors. Remember that mistakes are not something to throw away. They are opportunities to be able to create one of a kind items. Weather you like the finished work is totally up to you. You may even like it better than what you have originally were creating!!! I hope this helps!! !